In the world of Japanese model makers, Naoto Arakawa is at the forefront. 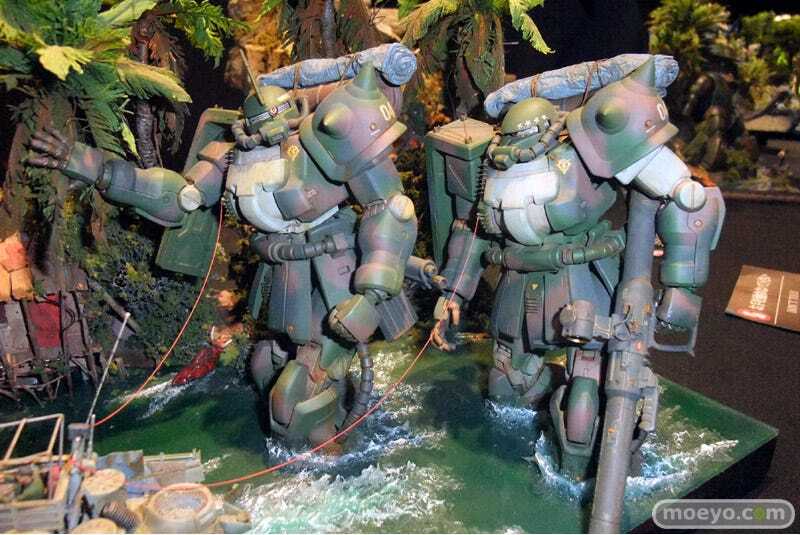 He's best known for his Gundam model building, and for good reason—it's amazing. Last spring, his series of Gundam landscapes were documented in book form. His work is really meant to be viewed at 360 degree angles. At a recent model event in Tokyo's Akihabara, fans could do just that as Arakawa's work was on display for all to see. Japanese site Moeyo was on hand, photographing each diorama from a bunch of different angles. Sure, it's not the same as being there, but it does show how detailed Arakawa's constructions are and how striking his tableaus can be.